November 26, 2007. Michael J. Berens and Christine Willmsen of the Seattle Times report that U.S. Rep. Jay Inslee has called for a congressional investigation into "energy medicine" machines after a 5-month-old boy died following a useless treatment with a machine called a PAP-IMI. "I fear these may be the tip of the iceberg when it comes to deadly scams aimed at vulnerable Americans who are sick and holding out hope for a cure to what ails them," Inslee said. All these machines are useless variations of the 1920s radionics device of Albert Abrams, the quack of the century. 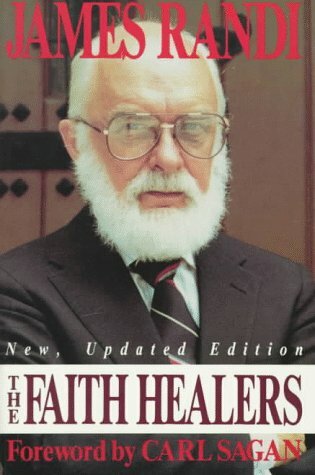 They are based on the false belief that illness reveals itself in energy fields that can be measured and manipulated for health by the magical device. Generally, these devices are sold with the promise that they can cure multiple diseases, such as cancer and AIDS. All are aimed at vulnerable clients, desperate for anything that promises hope. Newer models are likely to invoke quantum physics to attract the scientifically ignorant. Berens and Willmsen also report on the death of a teenager with bone cancer whose parents subjected him to a bit of quackery called photo luminescence in an effort to relieve him of his pain and perhaps cure him of his cancer. The reporters also expose William Nelson as running one of America's biggest health-care frauds from Budapest, Hungary. According to Berens and Willmsen, Nelson falsely claims to hold eight doctorates and makes tens of millions of dollars selling a bogus energy-medicine machine called the EPFX. Nelson also sells the Quantum Xxroid Consciousness Interface. A website that sells this device refers to him as a "world-renowned scientist" and "professor." For about $20,000 you can set yourself up as a "Quantum Biofeedback practitioner." No experience necessary. November 26, 2007. Lola Miller, also known as Donna Miller and Miss Donna has been charged in San Jose, California, with defrauding a woman of $445,000 in a classic con: the cleansing or curse removal scam. Miller previously worked in San Francisco, where she was convicted of similar charges several years ago. At the time of her arrest, she was in New Jersey. The prosecutor in the case said that his office currently has about half a dozen psychic scam cases under investigation. Unfortunately, Sylvia Browne's work is not among the cases being investigated. update Dec. 11, 2008: Two of Lola's daughters-in-law have been charged with similar crimes. November 15, 2007. A Christian missionary in Brazil, Cláudia Simião da Silva, 35, died after refusing to eat or feed two children (her nieces), Adrielle, 9, and Grazielle Souza Santos Simião, 11, until she received a sign from God. The fast lasted two months. The children, the missionary's sister, and her mother-in-law survived on whatever food was in the house when the fast began. They were severely malnourished and mentally confused when they were found. The children are expected to be hospitalized for about a month. Jose Carlos Lima, a neighbor, said the children were just skin and bone. November 14, 2007. Six family members aged 34 to 47 died in their Vietnamese village after drinking a rice wine with roots of a wild plant inside. Such homemade herbal wines are common in northern Vietnam, according to EarthTimes. Sometimes the wine, known as ruou is spiced up with snakes, geckos, or crows. The Associated Press also reports that there may be some serious dangers in herbal alternatives to Viagra and Cialis. For men on common heart and blood-pressure drugs, popping one allegedly safe and "natural" herbal pill could lead to a stroke or even death. "All-natural" products "like Stamina-RX and Vigor-25 promise an apothecary's delight of rare Asian ingredients, but many work because they contain unregulated versions of the very pharmaceuticals they are supposed to replace." November 12, 2007. 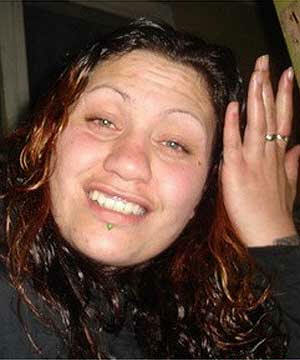 A New Zealand woman and mother-of-two apparently drowned at a home in Wainuiomata, near Wellington, during a Māori ritual when she was held under water to drive out an evil curse put on her because a family member had stolen a treasured artifact. Police estimate that about thirty people were present at the "mākutu-lifting" event. An archdeacon of the Anglican Maori Church, said the ritual is commonplace and that water is used to cleanse the possessed. update: December 11, 2007. Nine people were charged with manslaughter and ordered not to take part in any more makutu-lifting ceremonies. November 9, 2007. Exorcism is a growing force in Algerian society, with many seeking aid from spiritual healers when traditional medicine is unavailable or unaffordable. Such healers – known as raquis – practice roquia, or rituals used for purposes ranging from curing headaches to relieving a soul from demonic possession. The treatments involve incantations of specific Qur'anic verses over a container of water, which is given to the afflicted person to drink or applied directly to the affected area. Last year, two siblings aged 18 and 17 died after drinking 60 liters of water. "They were possessed; the treatment the doctor had prescribed had done nothing, so I thought I was doing the right thing calling in a raqui," said their mother. "It was my faith in God that compelled me to do it." October 9, 2007. Peter Canter, of the Peninsula medical school in Exeter, England, believes herbal cocktails mixed by herbalists for specific customers should be banned. The designer herbs are concocted with "an almost total absence of evidence for any benefit." Canter makes no exception for traditional Chinese herbalists or Ayurvedic practitioners. Canter and his colleague, Edzard Ernst, also have concerns about the single herb extracts sold as "health foods." Some herbs are powerful medicines and could do damage by interacting with conventional drugs. Only qualified medical practitioners should be prescribing herbs. Prince Charles disagrees, of course, since he has his own foundation that supports all kinds of so-called complementary medicine (The Prince of Wales' Foundation for Integrated Medicine). Compounding the problem is the fact that there are tens of thousands of websites offering herbal products on-line. Canter and Ernst have recently published a study of herbal medicine. They found that out of 1,300 papers in the scientific literature, only three were properly controlled, randomized trials. Another concern is that some herbs are inherently toxic, yet they are used in a number of designer-herb packages. The authors note "numerous cases" of banned toxic herbs turning up in individualized herbal medicines. The head of the Prince of Wales Foundation reminded the press that the absence of evidence of efficacy does not mean that the herbs are not efficacious. For anxiety. Banned in Britain because of three deaths and six transplants resulting from liver toxicity. Leaves of the oldest living tree species - for dementia. Some concern over possible increased risk of brain hemorrhage. For musculo-skeletal pain, such as backache. May increase stomach acid and should be avoided by people with ulcers. For enlarged prostate. Should not be taken with drugs like aspirin or warfarin which increase bleeding, and may interfere with the pill. For depression. Interacts with some conventional drugs, such as immune system suppressants, causing heart transplants to be rejected, and the pill. For insomnia. High doses may cause a drug "hangover" effect. For congestive heart disease. Too serious a condition for self-treatment. For pain relief. Consult doctor if you have asthma or ulcers. For the common cold. Not available in the UK. See also vitamin & mineral supplements. October 8, 2007. With the assistance of a psychic, Catholic priests tried to exorcise 42 demons from a mentally ill eleven-year-old boy, David Glatzel, in 1981. The psychic, Lorraine Warren of Monroe, Connecticut, got a book out of the experience. No devils were exorcised and now David and his brother Carl are suing for libel and intentional infliction of emotional distress for the supposed false information contained in the book. The most bizarre twist in the case was the suggestion that the demons jumped ship from David to his sister's boyfriend, Arne Cheyenne Johnson, who was arrested and convicted of manslaughter for stabbing his landlord to death. "He thought the whole thing was behind him," said attorney Greg T. Nolan, who is representing the Glatzels. "He doesn't want everyone to think of him as the guy who was possessed by Satan. "* Carl says his brother suffered from a mental illness from which he has since recovered and that his family was manipulated and exploited by the Warrens. Even thought the statute of limitations for such a lawsuit ran out about 20 years ago, the reprinting of the book last year opened the door for a new day in court. Warren, now 80, says she doesn't understand what the fuss is all about. According to her, six Catholic priests agreed with her and her husband that David was possessed. Years ago, Warren and her husband Ed, working as "demonologists," claimed to have sensed spirits at an allegedly haunted house in Amityville, New York.